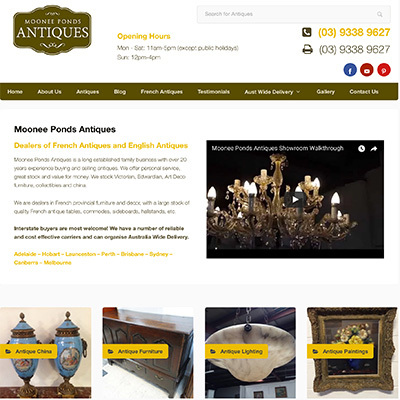 Moonee Ponds Antiques are antiques dealers specialising in French, English and Australian Antiques. Moonee Ponds Antiques has been trading in antiques for decades. A few years ago they moved from their retail premises to a warehouse in Airport West. This meant that their business could no longer rely on passing foot traffic. Their web presence was patchy. They had a small brochure style website that they had no control over, and all their product was on a large antique portal site. While the portal was effective to a degree, once again they had minimal control over their content outside the individual listings. There are many antique dealers in Melbourne and many of these are present on the same portal. This meant we needed to do something to stand out from the crowd, and be found by the right target market. As a starting point we built a website to showcase the products on sale in their showroom. The aim was to focus initially on french antiques. By zeroing in on the individual products within the french antiques range, like commodes for example, we began the process of being found by specific, targeted clients. This approach led to a prominent presence for french antiques as a whole. From there we have expanded to all categories that they trade in. They now have a fantastic presence for antiques in search engine rankings, and are certainly reaping the rewards for their efforts. They are no longer reliant on the antiques portal, but still maintain a presence there. Traffic, and more importantly buyers, to their site continue to grow. Just because you have made it to your goals doesn't mean you can rest on your laurels! Moonee Ponds Antiques definitely get that. 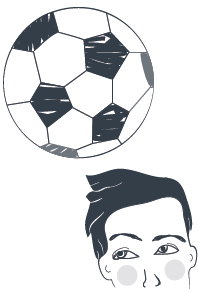 They continue to hone every aspect of their website and are really pushing into social media. They have expanded their team, and we have no doubt they will continue to go forward in a big way! It's like having a guide to help you through the online maze!